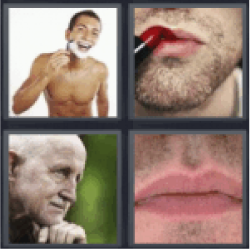 4 Pics 1 Word Man shaving. Man putting on lipstick. Older man. Lips.